Tomás Q. Morín is the winner of the 2012 APR/Honickman First Book Prize for his poetry collection, A Larger Country. He is co-editor with Mari L’Esperance of the anthology Coming Close: 40 Essays on Philip Levine. His poems have appeared in Slate, Threepenny Review, Boulevard, New England Review, and Narrative. 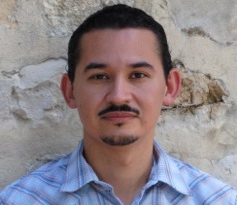 He teaches literature and writing at Texas State University. We went Behind the Sestina and spoke to Tomas about “Canso of the Dancing Bears,” included in The Incredible Sestina Anthology. 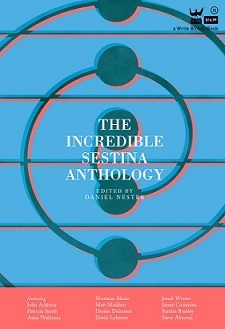 I think the first sestina I ever read was “Sestina” by Elizabeth Bishop, way back when I was a junior in college. I had a terrific workshop teacher, Matt Harvey, who introduced us to many good things. Do you have a favorite sestina? Favorite sestina, huh? Hmmm. I’d have to go with Anthony Hecht’s “The Book of Yolek.” I love this poem for the way in which Hecht pushes the story of little Yolek past the repetition and circularity that is the hallmark of the end words so that he tells a very linear, unhesitating narrative in a form resistant to that very thing. We’re curious about your sestina-writing life. Are you a return sestins customer or are you “sestina retired,” as one poet once said? “Canso of the Dancing Bears” is the only sestina I’ve ever attempted. I don’t know if I’ll ever write another. I suppose, like with most things, I won’t know it until I know it. Is this inspired by real life events, place, narrative? I know that “Dancing Bear” is a Mamas and the Papas song, but that’s all I’ve got. I wish I could say the Mamas and Papas inspired the poem, but unfortunately it was a banner on the side of my internet browser meant to draw attention to an organization championing the rights of dancing bears. I couldn’t resist clicking on it. Once I had, I was face with all the horrible details of how bears are made “to dance”. I then researched the use of dancing bears in all the countries where they were used so that I could get a good idea of how different cultures interacted and appreciated this type of side show. The atypical pattern is modeled after Edmund Spenser’s “Ye wastefull woodes, bear witness of my woe” from The Shepheardes Calender (August, lines 151-189). I would dedicate my sestina to Our Brother and Sister, the Bear. This entry was posted in Behind the Sestina and tagged Anthony Hecht, Dancing Bear, Edmund Spenser, Incredible Sestina Anthology, New England Review, Poetry, Sestina, Shepheardes Calender, Threepenny Review. Bookmark the permalink.